Forgot Windows 8.1 password of your Toshiba Encore tablet? Need to recover or reset it? The easiest solution is using PCUnlocker. It enables you to reset forgotten Windows 8.1 password on any UEFI based devices, including Toshiba Encore tablet. 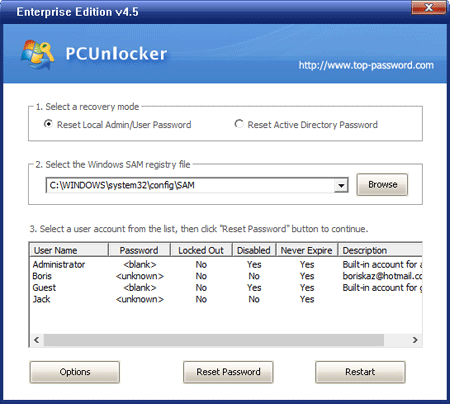 PCUnlocker is a tool to use when you forgot/lost your Windows account password. 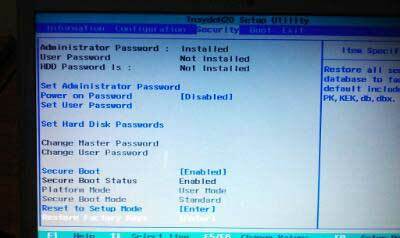 Just boot your locked computer from PCUnlocker boot media and it allows you to reset and replace the password of any Windows account. 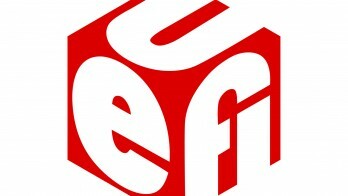 The boot media can boot in 32-bit UEFI, 64-bit UEFI and legacy BIOS mode. PCUnlocker runs from a WinPE boot disc, so you need to download and burn ISO onto a USB drive before you can use it. So download the PCUnlocker disc image and burn it to a disc using the freeware ISO2Disc. Remember to choose the GPT partition because Toshiba Encore tablet comes with 32-bit UEFI firmware instead of standard BIOS. Once you have created the bootable media, you need to boot off it. 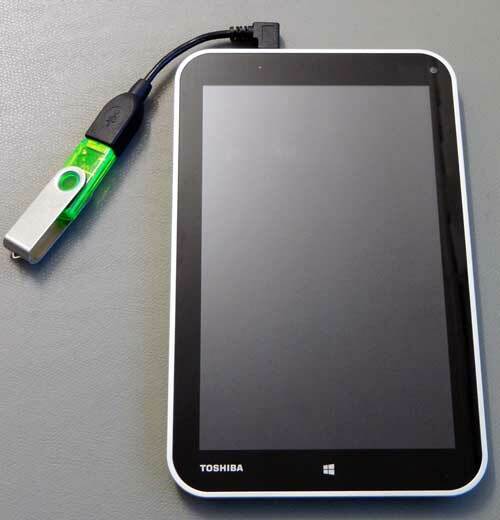 So connect the USB-OTG cable to your Toshiba Encore tablet and plug in the bootable media. When turn on the tablet, press and hold the power button together with Vol+ button at the same time until the device turns on and the boot device selection menu appears. Select the USB Memory device and press Enter. The tablet will boot off the USB drive. Once you’ve booted into the USB drive, you’ll see the PCUnlocker program in minutes. The program automatically searches the Windows SAM database and lists your Windows 8.1 user accounts. Select a local account and click on Reset Password button. It will reset / unlock your password quickly. If you’re using a Microsoft account with your Toshiba Encore tablet, there should be a local account associated with your Microsoft account. Choose that account and reset the password. Meanwhile, the program will also unlock your Microsoft account password. 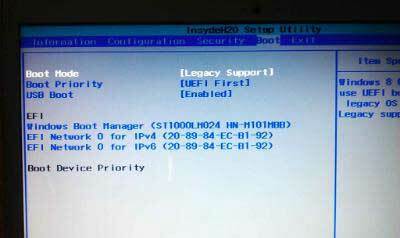 The last step is to remove the USB drive and reboot your Toshiba Encore tablet. You should now be able to login to your Windows 8.1 account. If you boot the virtual machine from a WinPE bootdisk, you’ll be unable to see your hard drive. BusLogic is not supported in a lot of the newer operating systems. BusLogic is not actively being improved by VMware so bugs come along as things change in the OS and none fixes them. Power off your VMware virtual machine and then use a text editor to open your virtual machine’s configuration (.vmx ) file. Find the line that begins with scsi0.virtualDev, where 0 is the SCSI controller number of your virtual hard drive. If your current SCSI control type is BugLogic, there should be a line present in your .vmx file: scsi0.virtualDev = "buslogic". Replace this line with with scsi0.virtualDev = "lsilogic"
Save the .vmx file and close the text editor. Start your virtual machine and it will run with the LSI Logic SCSI controller. The SCSI controller type of a virtual hard drive can be one of the following ones, but only the BusLogic SCSI adapter does not work under 64-bit operating system. MS SQL Server supports two types of authentication models: Windows Authentication and SQL Server Authentication, which are configured during the installation of SQL Server. Windows Authentication is the default option for new SQL Server installation and it allows you to access the database without providing a username or password. If you don’t want the users to open the database using Windows Authentication for security purposes, you can disable it easily. How to Disable Windows Authentication in SQL Server? 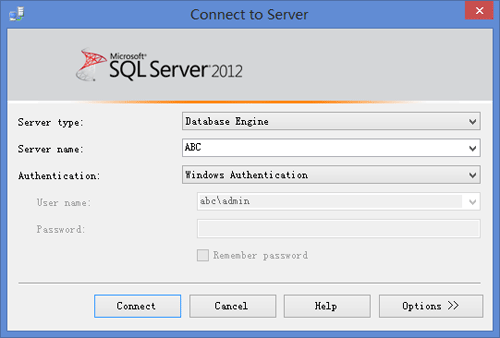 Login into SQL Server using Windows Authentication or SQL Server Authentication. In Object Explorer, open Security folder, open Logins folder. Right click on the local account and go to Properties. In the Login Properties window, select the Status tab. Set Login to Disabled, or set Permission to connect to database engine to Deny. 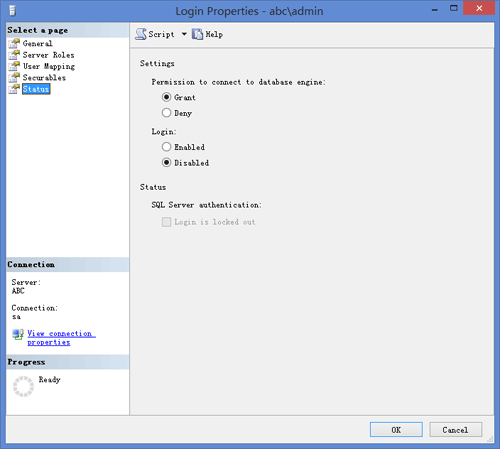 After disabling the Windows Authentication in SQL Server, make sure you remember your SQL Server logins. If you forgot the SA password or mistakenly disable the SA account, there are also ways for you to unlock SA account in SQL Server. Is there a way to recover or retrieve the stored passwords in SQL Server Management Studio? 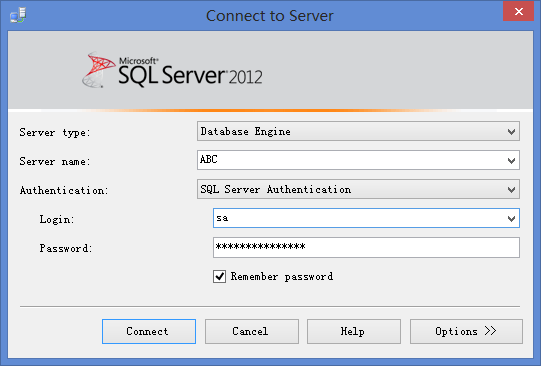 How to clear the saved login for SQL Server Management Studio? SQL Server Management Studio always forgets the password to all the servers you connect even if you do have the “Remember password” checked? In this article we’ll explain how to fix all these problems you might have with SQL Server Management Studio (SSMS). Where are SQL Server Management Studio passwords saved? If you want to clear / remove the remembered login and password list in SQL Server Management Studio, simply delete the SqlStudio.bin or mru.dat file. How to Recover stored passwords in SQL Server Management Studio? If you open the SqlStudio.bin file with a text editor, you can find out the server names and login for the saved connections easily. However, the passwords are not stored in plain text. Currently there is no any password recovery tools out there that can decrypt the stored passwords in SqlStudio.bin. If you’ve forgotten your password, you should just reset it on the server. 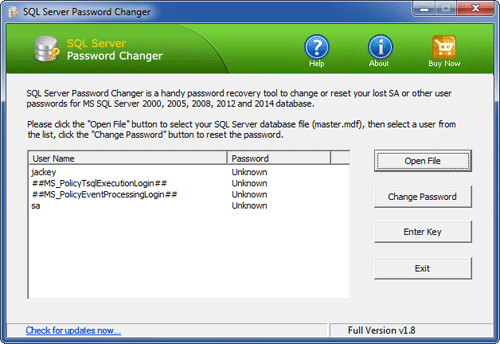 SQL Server Password Changer is a reliable tool that can also help you unlock / reset sa password in SQL Server. SQL Server Management Studio not saving password? It seems to be a known issue with SQL Server Management Studio but to date I have not seen a fix. I also have experienced this problem on numerous occasions. However there is a simple workaround for this problem. Try to delete the SqlStudio.bin or mru.dat file and the “Remember password” function should work. I have done this on two different PCs with no problems, and its working.